Translating Existing Learning Progressions or Rubrics Into Proficiency Scales will help teachers and students identify current levels of knowledge and provide feedback for reaching higher levels of understanding. Instruction in a PCBE classroom employs many traditional classroom strategies, but executes them in different ways. In a PCBE classroom, engagement is defined as each student attending to the activities that will help him or her reach the next level of proficiency on a specific topic. Many schools have already created learning progressions or rubrics that they wish to continue using. To illustrate, consider the progression for the concept of buoyancy (Herman & Choi, 2008). The ultimate learning goal is for students to understand that an object will float, or be buoyant, in a medium if the object is less dense than that medium. As they work toward attaining this goal, students might demonstrate the following levels of understanding (from lowest to highest). Students think that floating depends on being flat, hollow, filled with air, or having holes. Students think that floating depends on having a small size, heft, or amount, or that it depends on being made out of a particular material. Students know that floating depends on having a small mass, or that floating depends on having a large volume. Students know that floating depends on having a small mass and a large volume. Students know that floating depends on having a small density. Students know that floating depends on having less density than the medium. Clearly, defining the learning progression as exemplified here will help teachers and students identify current levels of knowledge and provide feedback for reaching higher levels of understanding (p. 33). 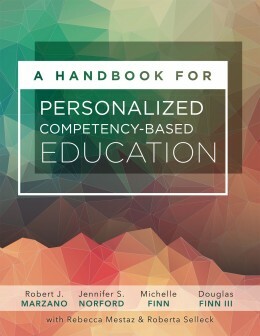 There are nine dimensions of the PCBE classroom that compare with the traditional classroom: (1) whole-class instruction, (2) small-group instruction, (3) individual instruction, (4) peer-to-peer instruction, (5) external instructional resources, (6) engagement strategies, (7) relationship strategies, (8) high expectations strategies, and (9) classroom management strategies. These nine dimensions interact with traditional instructional strategies. Stated differently, if you examine traditional instruction through these nine dimensions and compare it with how they are used in a PCBE classroom, a fairly clear picture of PCBE teachers will emerge. (p. 70). Thus, in the PCBE classroom, the focus of engagement might be different from student to student. Consequently, teachers use some of the traditional engagement strategies sparingly in a PCBE classroom except in instances in which the teacher is employing whole-class instruction. Quite commonly, teachers adapt a whole-class strategy for use with one student or a small group of students. For example, friendly controversy is an engagement strategy typically employed in a whole-class setting and involves organizing students into groups to take different positions on a topic. In a PCBE classroom, a teacher might employ this same engagement technique with an individual student by simply presenting another point of view to the student relative to a particular topic. In a whole-class setting, a teacher might employ the engagement strategy of providing opportunities for students to talk about themselves by organizing them into groups to discuss how the topic of a lesson relates to something in their lives. In a PCBE classroom, the teacher might simply ask individual students how they see their current work on a proficiency scale relating to their personal interests (p. 78).